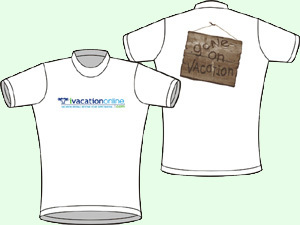 Order your exclusive ivacationonline.com shirts today! You can not only be the first owner in your area to offer your customers state of the art online booking but you can look good while you are doing it. These are 100% preshrunk cotton and they are very comfortable. Choose between the two. You can't go wrong! Order today! When ordering more than 1 of the same shirt and you do not want them all to be the same size use the text box below to let us know what sizes you would like. If you are in the market for a vacation rental, look no farther. With VACATION RENTALS FOR PROFIT, the book, you will have everything you need to start running a successful rental business. 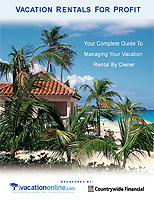 The book will walk you thru every facet of vacation rental ownership. It will go into the reason to own a vacation rental over regular real estate rentals. Where to buy? How to Finance. How to market. Why doing it on your own is more profitable then using a management company. How to get your business organized. How to find local help in your resort area. Plus more! Everything you need to know in one place. 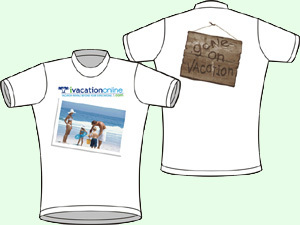 THE BOOK will also go into exact detail on how to set up and operate thewww.ivacationonline.com.online booking system. 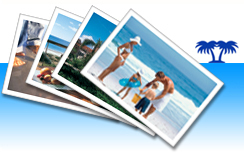 This is a patent pending site that provides the online software to run every aspect of your vacation rental business. This new state of the art site will make owning and managing your unit a pleasure and a success. Information is now available to help you run a successful business. Don't pass up this opportunity to learn the secrets of the pros. Vacation Rentals are very profitable if run properly. Find out now how to be successful right now. Order your book now!